Walt Disney World and its related businesses in Florida generate an estimated $18.2 billion a year in economic activity and more than 1 out of every 50 jobs in the state, according to an impact study paid for by the giant resort and released Wednesday morning. 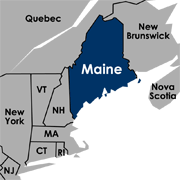 It amounted to a cumulative direct economic-impact of $6.3 billion. 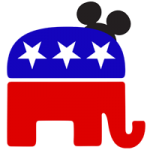 When researchers modeled in “indirect and induced” impacts from Disney’s operations, they said the impact swelled to $18.2 billion and approximately 161,000 jobs. We’re back from our vacation to Florida and Walt Pixar World. 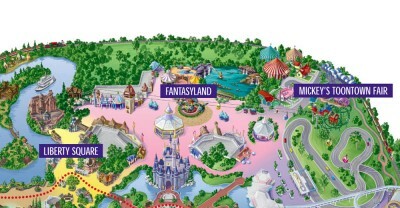 Err … “Walt Disney World”. For a minute I was confused, it appeared those Pixar characters had taken over the entire kingdom. But more on that another time. 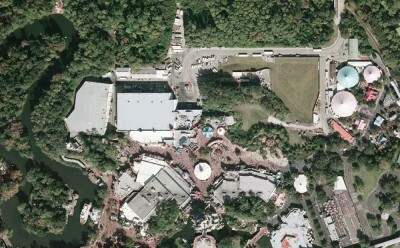 It’s odd, they’re gearing up for the 40th Anniversary down there (the Magic Kingdom opened on October 1, 1971). 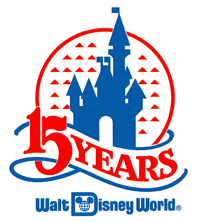 It makes me feel old that I remember the 15th Anniversary so vividly. Anyway, photos will be along in a few days. So we watched a Walt Disney World planning video last night. Actually I should say I sprung a Walt Disney World planning video on Liz last night. The sad part is that it was pretty hokey; even my own interest was waining, so I couldn’t fault Liz when I saw out of the corner of my eye that she had picked up her iPhone and started scrolling through something more interesting. So I quickly turned it into a sociological experiment: I pointed out that one of the video’s hostesses spoke perfect English, with just a hint of a Mediterranean accent. Was she Greek? Turkish? The iPhone went to the coffee table. Liz was back in the game. We determined that her parents emigrated to Canada sometime around the Lebanese Civil War in 1975 when she was young, like say 6 years old. Liz was hooked. We investigated each time they used African American actors. Asian American actors. Grandparents. Honeymooners. It’s actually a pretty interesting experiment, because every actor’s casting was a clear choice, likely debated by a team of experts and executives and marketing people. So in 1975 Walt Disney World revamped their Tomorrowland, adding some attraction named “Space Mountain” along with with the a people mover named, well, the “WEDWay PeopleMover”. After the fancy refurbishment of Tomorrowland in 1994 it was renamed the “Tomorrowland Transit Authority” but little changed otherwise. Also, to be a nitpick, this article is incorrect when it says the pollution-free linear induction motors were introduced at Disneyland in California in 1967. 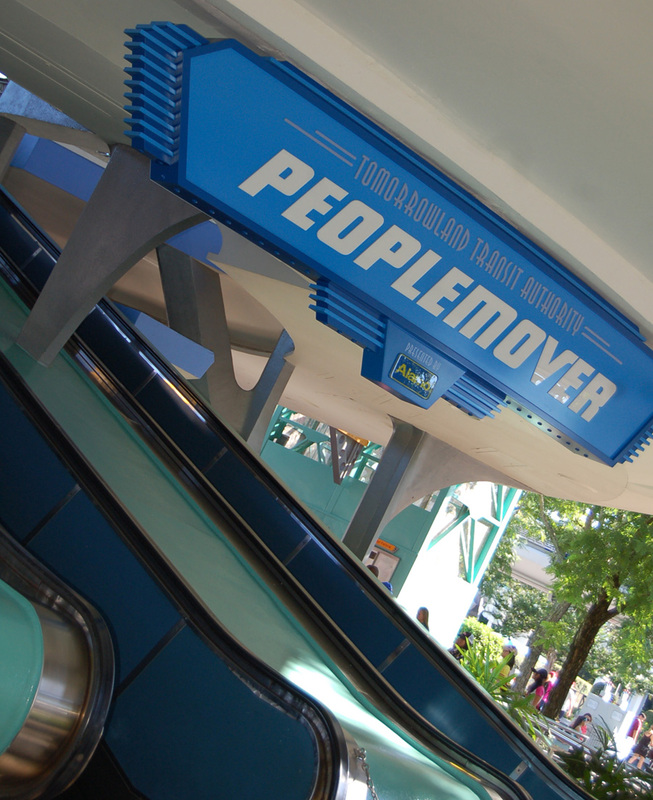 Disneyland’s PeopleMover (which closed in 1995) used the propulsion system of rotating Goodyear tires. Star Wars Weekends kickoff tomorrow at Disney’s Hollywood Studios (formerly Disney-MGM Studios). 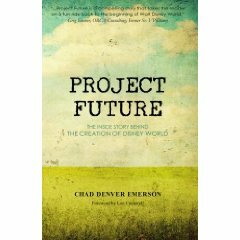 I’ve been thinking about that new Disney book Project Future that I was telling you about yesterday (see New Disney Book). I’m psyched for it, but there’s another book that I really want to read. I swear I’ve talked about this before, but I can’t find the link. See, in the late 1960s when Walt Disney wanted to build what became Walt Disney World he sent a company lawyer to Florida to start buying up land. And that lawyer, Robert Foster, wrote his story down. From what I know it’s a story of pseudonyms and shell companies, determining who owned the land (and the mineral rights to said land) – probably all of the stuff in the new book above. Sadly, Foster, who used the name “Robert Price” to keep his identity secret, never got his book published. (And Foster/Price shouldn’t be confused with Harrison “Buzz” Price, whose Walt’s Revolution! : By the Numbers is a nerdy good read). Foster/Price did, however, get a window on the Magic Kingdom’s Main Street, USA as both “Foster” and “Price”, a rare feat. How have I not heard of this book?! It’s out now, and affordable for someone’s birthday two weeks from today … (cough amazon.com link cough). the most exciting bit of news for series fans might be that Disney is considering turning the island attraction at Disneyland (once the ‘Swiss Family Robinson’ Tree House, later a ‘Pirates of the Caribbean’-themed scene). 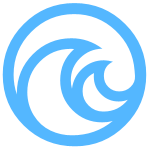 Yes, ‘Lost Island.’ Theme park fans should stay tuned. The problem is … it doesn’t make sense. See, Disneyland (in California) had a Swiss Family Treehouse that turned into Tarzan’s Treehouse about a decade ago. No Pirates to be seen. In case they messed up their coasts, Walt Disney World’s Magic Kingdon (in Florida) has a Swiss Family Treehouse that’s still Swiss. The Pirate Treehouse just doesn’t exist. 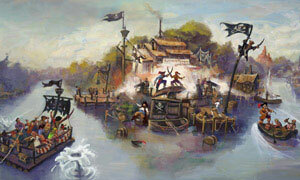 I think the attraction to which they are referring is actually Disneyland’s Pirate’s Lair on Tom Sawyer Island. In 2007 the island, formerly all Tom Sawyery, was invaded by Pirates for the release of Pirates of the Caribbean: At World’s End. They still haven’t left yet. It’d be relatively cheap to overlay Lost on the island, and it’d be a huuuugggggeee draw. Especially for the repeat crowd in Southern California.